The last day of my NYC adventure was the most daring day of them all, since I was mainly traveling solo. By this point, I had had enough experiences with public transportation to feel fairly confident about maneuvering around the city. After Mood, I meet up with Mark Laurence LaRiviere, a nice guy from my Klein Artist Works class. We had a lovely chat about art and life, then parted ways. 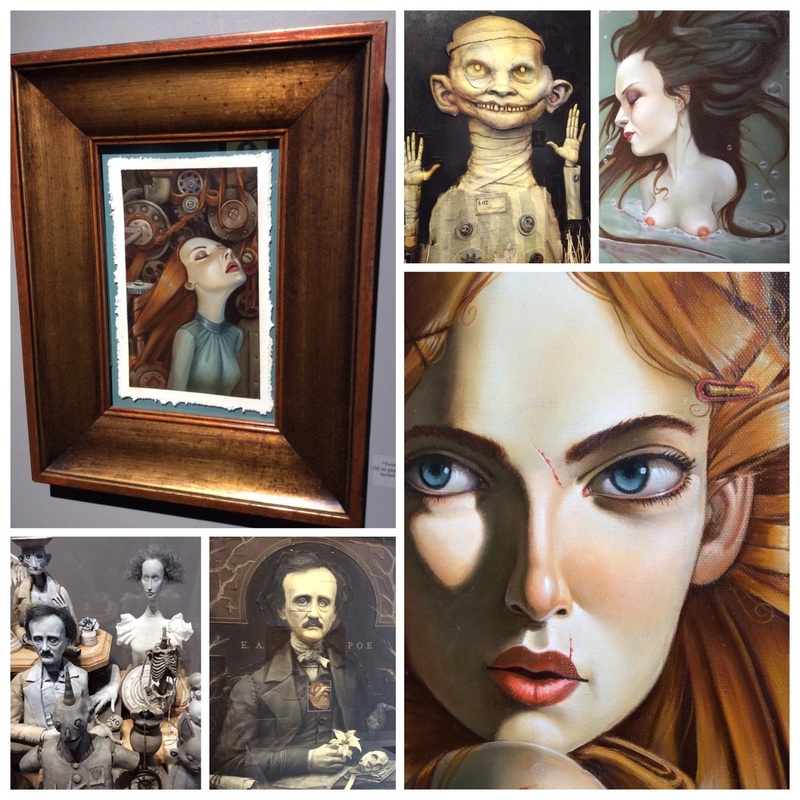 There were only two galleries that I REALLY wanted to visit while in NYC and the first is located around the corner from Mood, Last Rites Gallery. This venue focuses on artwork with a dark twist and the current show was William Basso, who creates sculptures that he photographs and turns into haunting collages, and the amazing painter, Leslie Ditto. The space was lovely and the folks running it were very welcoming, which is more than I can say for the tattoo business downstairs. My friend, Kat, insisted that getting to Brooklyn was a simple process, even though it seemed to be located on another planet according to the map. I took her advice and boarded a south-bound bus, then the "L" train over. She was right, it was quick and easy, so my hopes of seeing my second gallery, The Cotton Candy Machine, would be realized. The show I had expected to see was another favorite, Joe Sorren, but as it turns out my brain buggered up those pesky "M" months and it was long gone. In fact, they were between shows, so the gallery was only half full. It was still worth the trip, since they brought out one of the remaining Sorren's from the back room for me to see, and I was able to check out the craftsmanship and line work of David M. Cook. 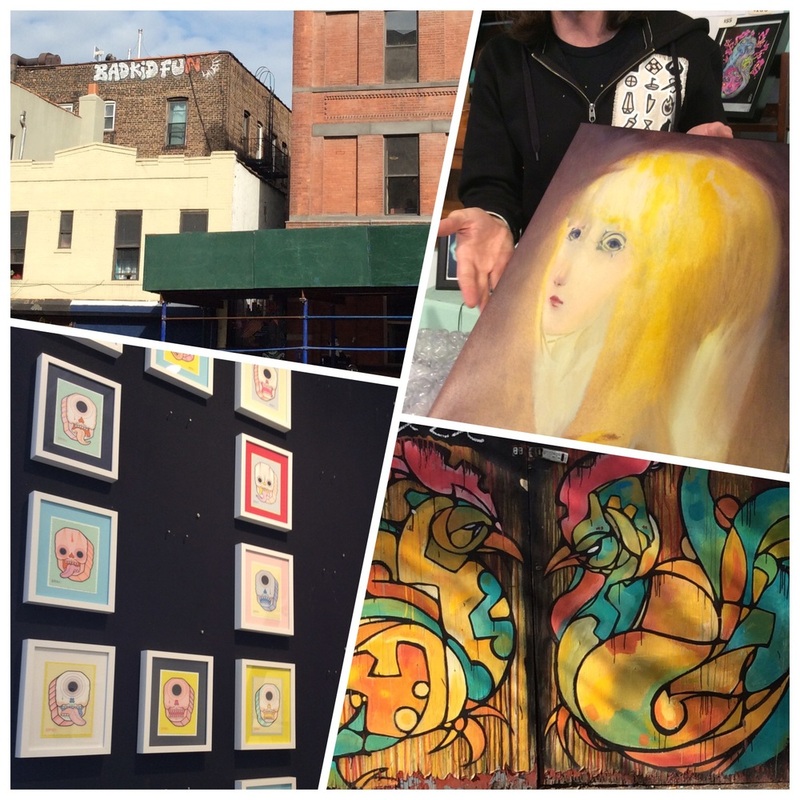 And, as an added bonus, I walked by a Tristan Eaton mural on my way there, so it was a very good art day for me!